Engadget received an invitation from Apple to join an event on March 2nd. When looking at the invitation (see below), there’s no doubt that it’s about iPad. Engadget will of course report live from the event. 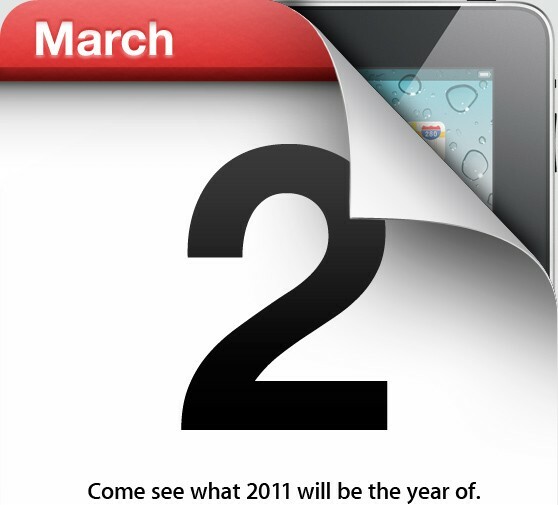 I wonder if iPad 2 will look as displayed in the image below (ie. basically the same as iPad 1)…? A new update every year is the Apple way. From the latest news I’ve heard, it’s not going to be like everyone has described it. Supposedly it won’t have the SD card slot that everyone has mentioned. Next post: My Top 5 Favorite Photography Podcasts (audio/video) – recommended!